Happy Monday everyone. I’m pretty thrilled to be able to announce today that Allison of All for the Boys will also be joining the MPMK team as a regular contributor. If you’ve been paying attention, then you already know I’m a fan (featured her here and here). 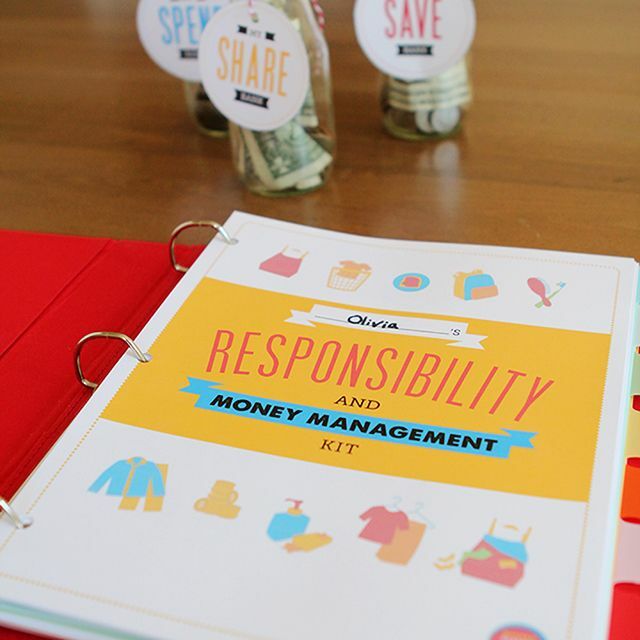 As you’ll see from today’s post, her ideas are spectacularly fun but also remarkably simple. You really won’t be able to resist trying them out at home. 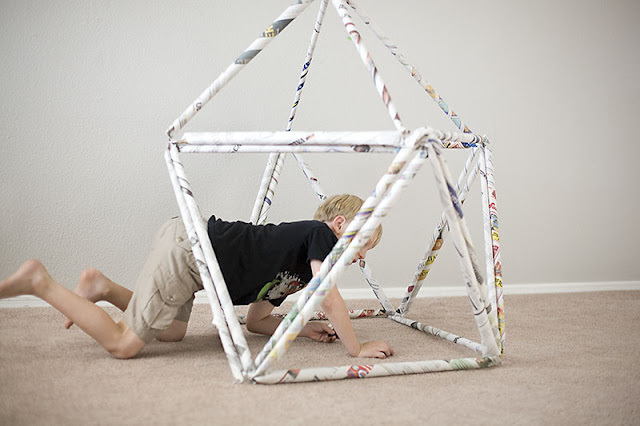 It’s no secret that we love forts, tents, and hideaways over at All for the Boys so I am super excited to share this simple tutorial on how to build a structure out of newspaper. 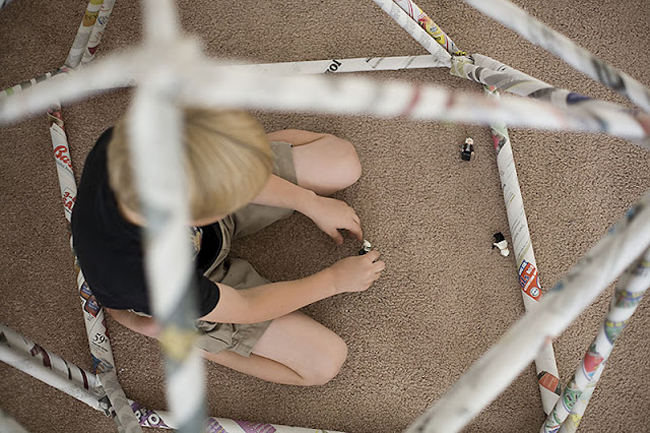 The way you create the structure can be modified depending on the age of your kids. Mine are 7 and 9 so they did this all by themselves. All you need is some newspaper as well as some tape and/or a stapler. 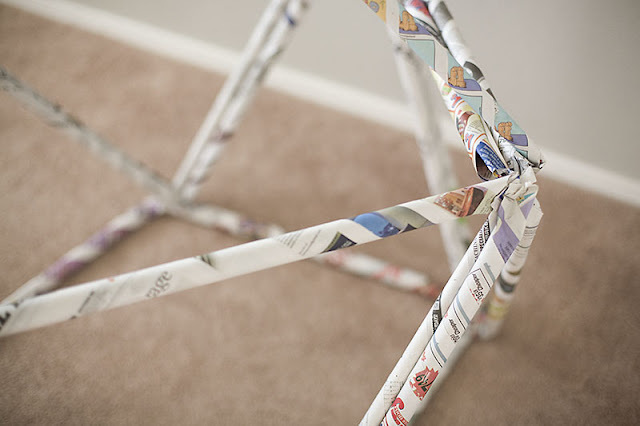 Take two sheets of newspaper, lay them out flat and start rolling it from one corner. The tighter the roll the more support you’ll have. My boys aren’t tight rolling masters yet but they did pretty well for their first time! Now make as many rolls as your kids will allow. An ideal amount would be around 48 but I think we stopped around 25 or so. 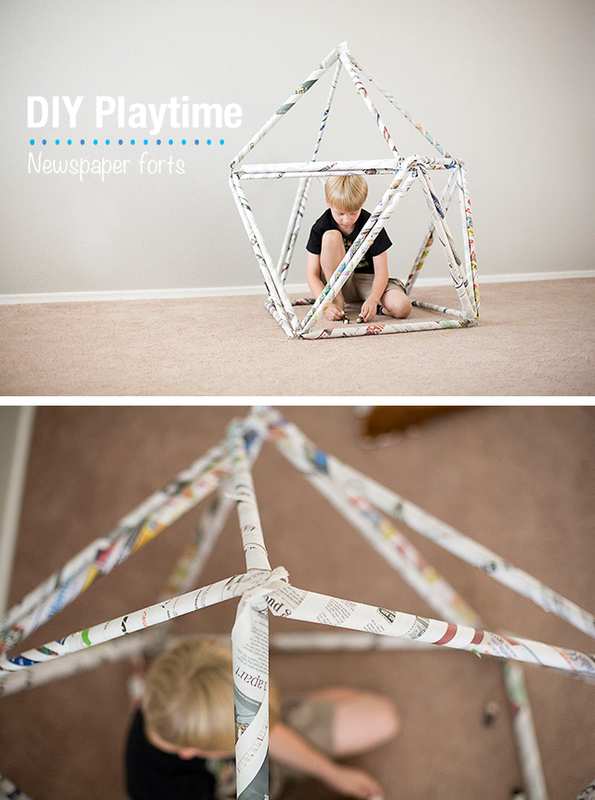 Next, you’ll be making triangles with your newspaper rolls. Tape or staple the ends together to form a triangle. Click through for the rest of the details. 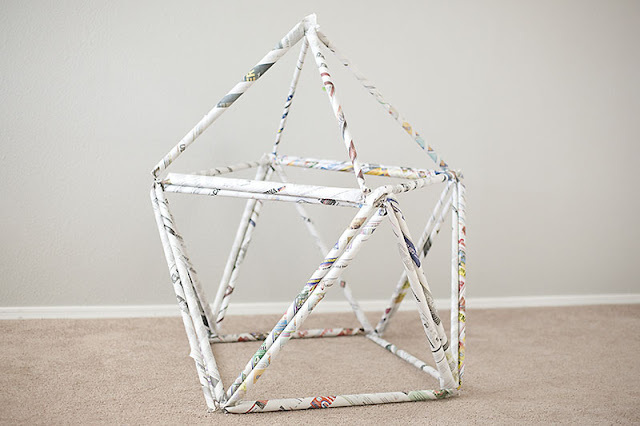 Create as many triangles as you can with your newspaper rolls. Finally, you’ll secure each triangle to each other creating whatever size structure you want! My boys and I came up with this. Your structure size will depend on how many triangles you made. Just make sure you have enough for the roof which will provide the final stability for your fort. You can secure the “joints” with some extra staples or tape to be sure it doesn’t move around too much. The rest is up to their imaginations! The structure should even be sturdy enough for a blanket on top! Either way it’s a pretty fun activity to do with your kids that they will be proud of and enjoy! P.S. 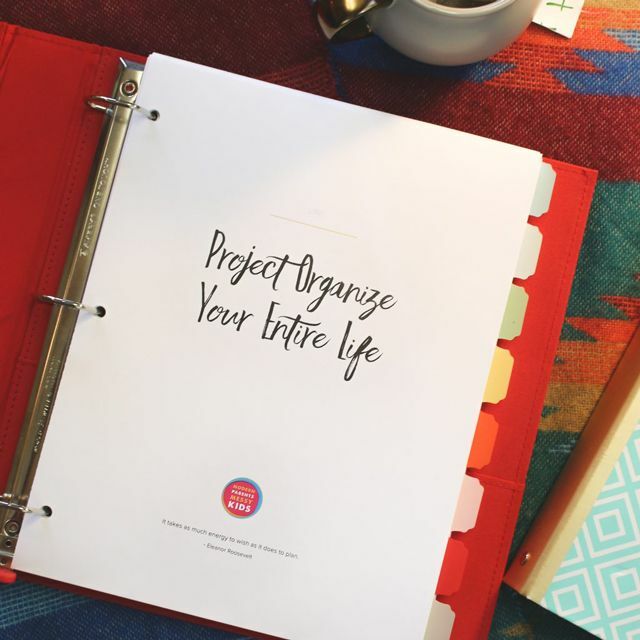 Looking to simplify in 2013?